Now a bustling market town of 20,000 people, the Greek city of Thebes was once one of antiquity’s dominant city states; as such it was, and is, a city that was central to many tales from Greek mythology. ​In Greek mythology, Thebes was a city linked closely with Cadmus, Dionysus and Oedipus, but even the likes of Heracles had links with the settlement. ​The story of Thebes normally commenced with the story of Cadmus, the Phoenician prince who left his homeland to search for his sister, Europa. Cadmus was advised by the Oracle of Delphi to give up his search, and instead build a new city; the location of this new city being the place where a cow would lead Cadmus and his retinue to. Cadmus followed the cow to Boeotia, and where it came to rest was to be a new city. 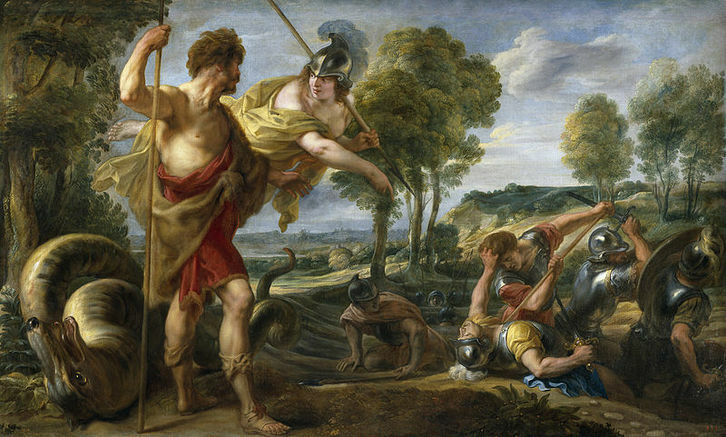 Before building could commence, Cadmus lost his men to the attack of the Ismenian Dragon, but guided by Athena, Cadmus would sow the teeth of the dragon, to bring forth the Spartoi. Thus it was that Cadmus and the Spartoi built a new city, a city called Cadmea, or Cadmeia, named in honour of Cadmus. 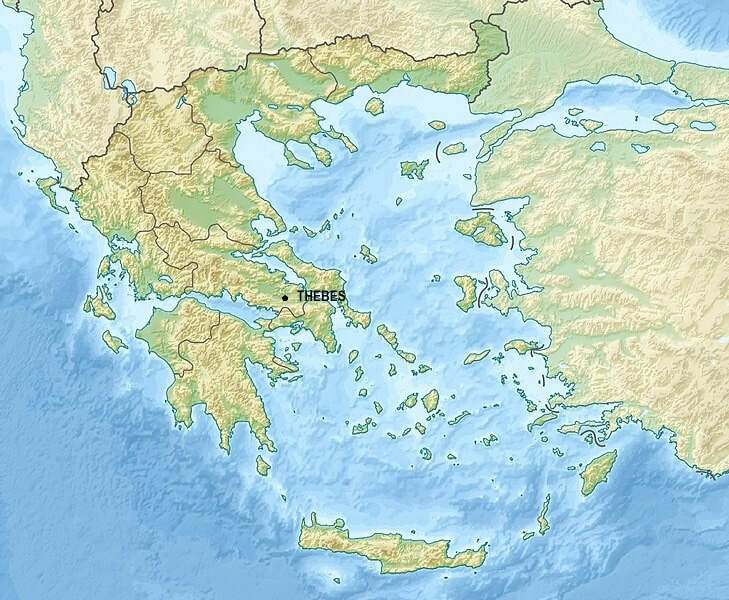 ​The land where the city of Thebes was built, was the land of Ogyges, the early ruler of Boeotia, and king of the Ectenes. It was in the time of Ogyges though that a flood devastated Boeotia, possibly the Great Deluge linked with Deucalion and Pyrrha; and hence Cadmus came to a land devoid of settlement or people. Cadmus would have to serve a period of servitude to the god Ares, for the killing of the Ismenian Dragon, although ancient sources differ as to how long this servitude was for, or when it occurred in the life of Cadmus. Cadmus would though end up finding himself a wife in the form of Harmonia, a daughter of Ares and Aphrodite. Cadmus would become father to a son Polydorus, and four daughters, Ino, Autonoe, Semele, and Agave. Each of the children of Cadmus would have a connection with Thebes, to a greater or lesser degree. Semele would of course become a lover of Zeus, who would then give birth to Dionysus, the Greek god with the closest association with Thebes; and in time Polydorus would become king of Thebes. When of advanced age, Cadmus would abdicate from the throne of Cadmea (Thebes), but with Polydorus too young to rule, the throne passed to Cadmus's grandson, Pentheus, the son of Agave and the Spartoi Echion.